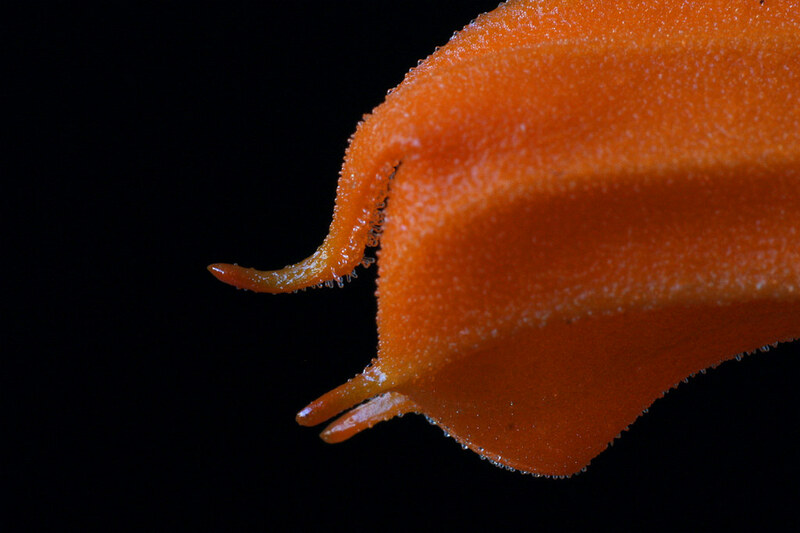 From my favorite subsection of Masdevallia, Saltatrices. 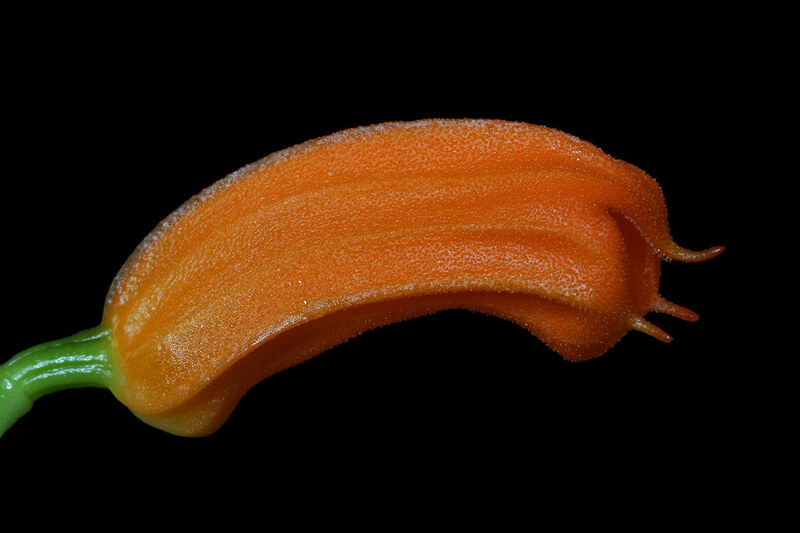 Species in this subsection have all three sepals deeply connate into a tube. 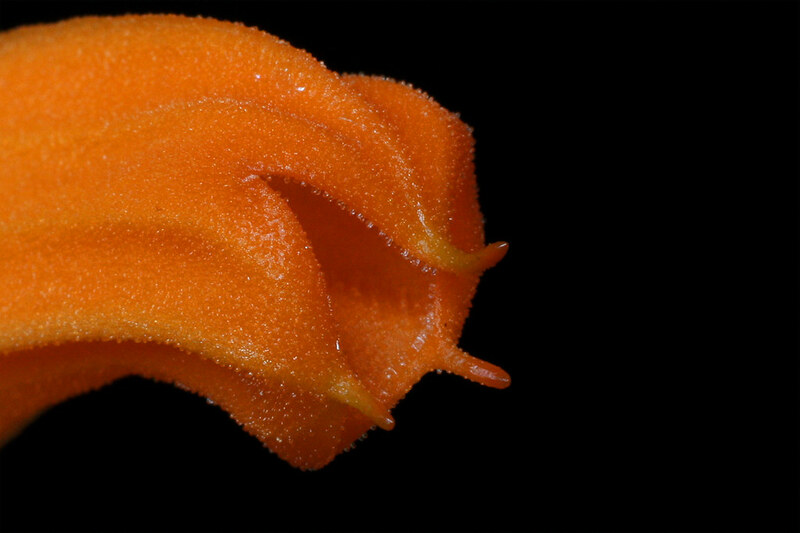 The petals and lip are hidden within the sepaline tube. Many species are thought to be pollinated by moths or hummingbirds. 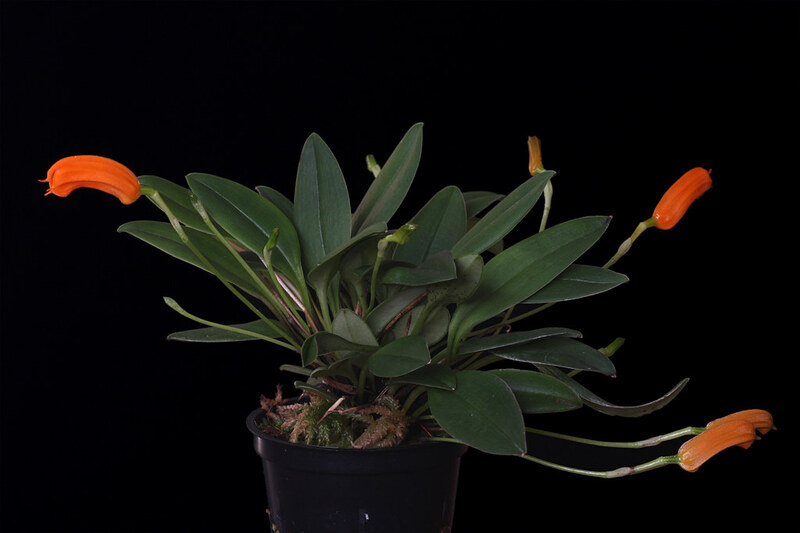 M. mendozae occurs in Ecuador (Zamora-Chinchipe) at elevations of 1800-2300m. 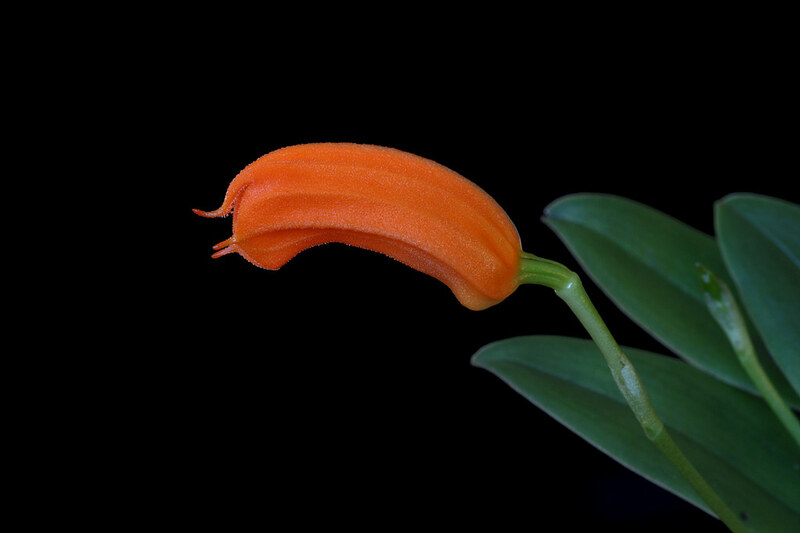 The tubular flowers are 2.5cm long. Plant size 6-7cm. I/C grower.